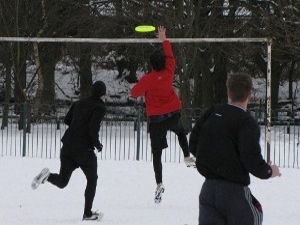 Welcome to DUFFA - Manchester's Ultimate Frisbee club for all! 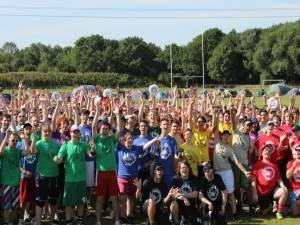 We're Manchester's open Ultimate Frisbee club, one of the largest in the North West and organisers of the DUFFA Hat tournament. 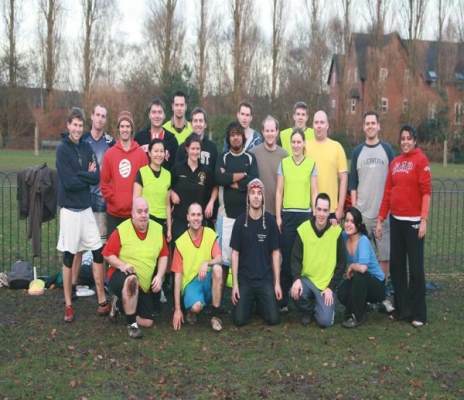 We meet and play twice a week - outdoors in a park, Didsbury, Manchester and indoors (winter only) at Parrs Wood High School Sports Hall. 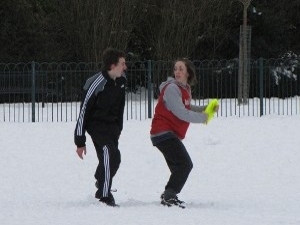 Over the winter (September - April), we play every Sunday outdoors and Thursday evenings indoors. Over the summer (April - August), we play every Thursday and Sunday and finish with a pint or three in the Fletcher Moss, Didsbury. 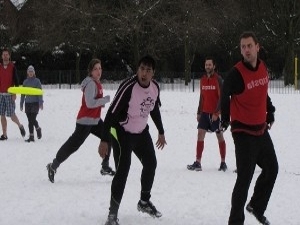 Our players are of varying levels, from total beginners to uni-level. 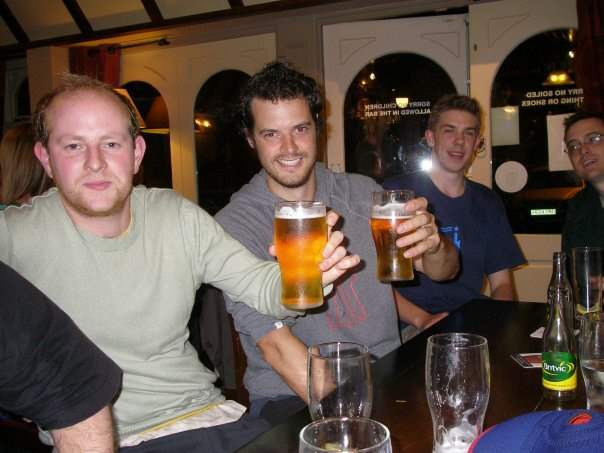 We also frequently meet up for socials in and around the Didsbury area and new members are very welcome. 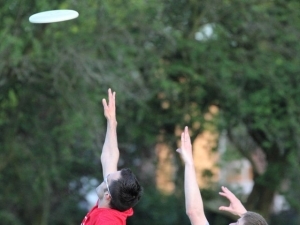 Never Played Ultimate Before? No Problem! 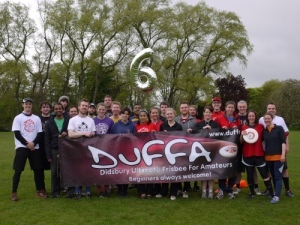 DUFFA's aim is to ensure that new members are always made to feel welcome and level ensures that just about anyone can just turn up and join in. 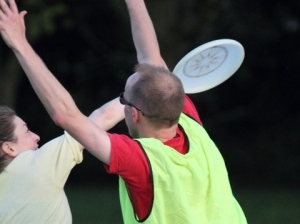 We welcome all abilities, especially those who have never played before. 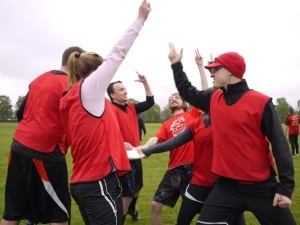 We're happy to take people new to Ultimate Frisbee through the basics - from how to throw and catch and go over the rules in a relaxed atmosphere. 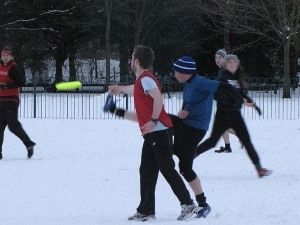 We run regular "Beginners Sessions" but if you're interested in trying Ultimate feel free to turn up to any session in old trainers (or ideally football boots, especially if it's muddy) and bring a bottle of water. 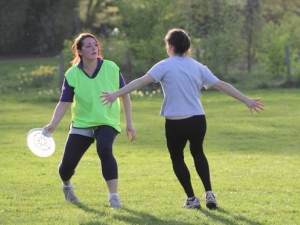 Beginners are ALWAYS welcome and we also run beginners specific session on the first Sunday of every month - see here for more details. For players looking for something more serious than pickup (you can still come to DUFFA too!) 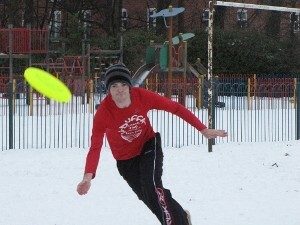 then there is a new website - Ultimate Frisbee in Manchester - providing details of every club in Manchester. 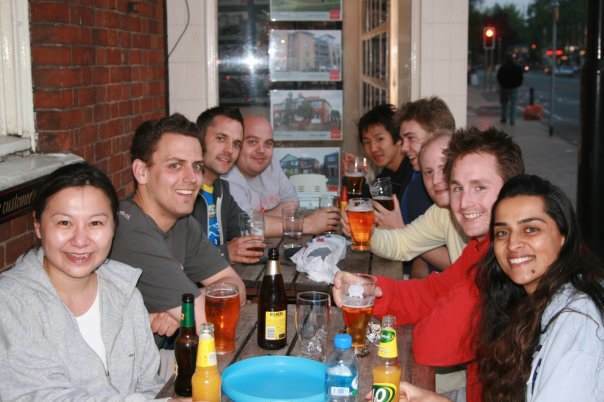 Outdoor Sessions: We play in Didsbury, often followed by a well deserved pint afterwards. 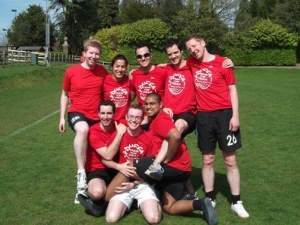 To join us head to Didsbury Sports Centre, Ford Lane, Didsbury, M20 2RU - we play on the fields furthest away from the club house. Just wonder over and come join us! 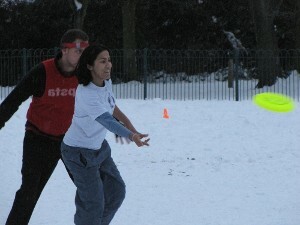 Indoor Sessions: We play at Parrs Wood High School Sports Hall - SAT NAV: M20 5PG. Follow the road around to the back of the building - there's ample parking by the outdoor 5-aside pitches. 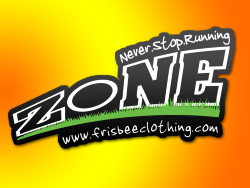 DUFFA Shop - buy a professional Discraft Ultrastar disc! Our shop is open for business! From £8 plus p&p we'll post you a lovely shiny disc for you to play with! 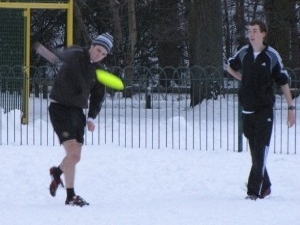 Own a piece of history with your very own Didsbury Ultimate Frisbee For Amateurs custom designed disc! Hurry, only a few are left!